This simple, yet highly versatile recipe, makes a delicious brunch option. 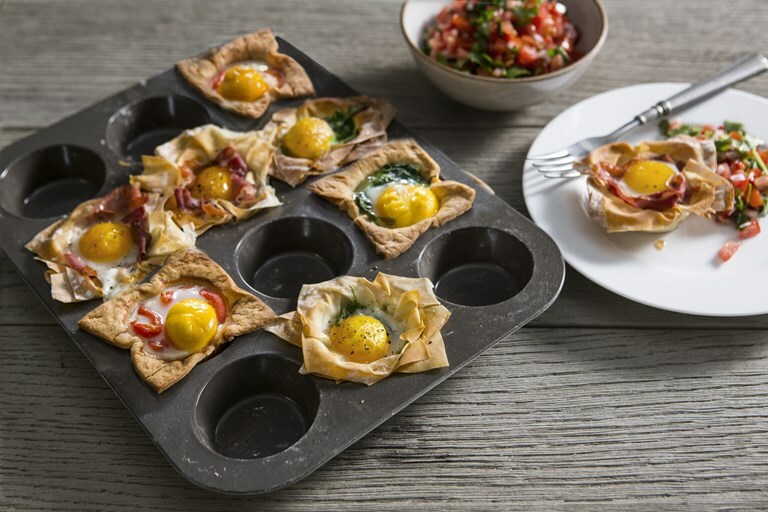 The cups work equally well with both filo and shortcrust pastry, so Sally has included instructions for both, as well as a few options for tasty fillings, such as spinach, Parma ham or roasted peppers. A spicy tomato salsa is the perfect accompaniment.